The last question of Tiger Woods’ 2019 Masters winning press conference was a doozy: Could he go through every approach shot he hit that day, club by club? Woods had no trouble with the recall; one thing that hasn’t changed is his sharp mind. But he answered the same question in 1997, during his first win. The differences in clubs tell us something about Tiger Woods — and Augusta National. In 1997, Woods was using a split set of Mizuno irons at the Masters: MP-29 long irons (2-5) and MP-14 mid and short irons (5-PW). At this year’s Masters, Woods had a fresh set of TaylorMade’s P7TWs. Importantly, Woods was second in driving distance to John Daly in 1997 at 294.8 yards per pop; in 2019 he’s T51 at 299.6. The 6,925-yard Augusta National has been traded out in favor of a 7,475 alternative. In the lead-up to this year’s event, Woods broke down the differences in the course. Let’s go through, hole-by-hole, to check out the contrasts and see what they tell us. 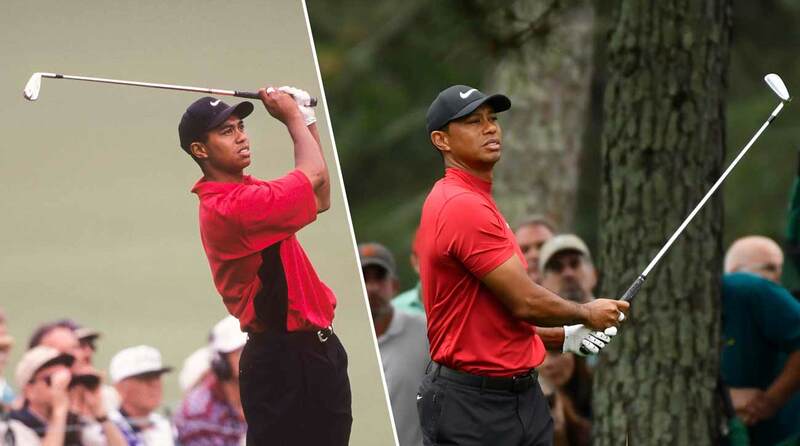 Tiger Woods hit mostly wedges in 1997. Not the case in 2019.